Spaying and Neutering reduces overpopulation by removing the possibility of accidental litters. This is the biggest reason for why you should spay or neuter your dog. Over 1.5 million dogs and cat are euthanized at shelters each year. This is because there aren’t enough homes available and not enough resources to care for them at rescues and shelters. Neutering your pet will help reduce these numbers and ensure that you will not be adding to this tremendous burden. But overpopulation is not the only reason why you should spay or neuter your dog. Many health reasons make spaying and neutering beneficial. It helps your dog live a happier, healthier and longer life. What is Spay and Neutering? Spaying is the procedure of giving a hysterectomy to a female animal. Neutering is the removal of the male animal’s testicles. Veterinarians perform this surgical procedure in order to render the animal incapable of reproduction. Veterinarians perform this procedure as early as six weeks of age but most prefer to do it at around 4 to 6 months of age. Another reason why you should spay or neuter your dog is that it also eliminates a lot of behavior problems. It stops the mating drive in males, reduces roaming, running away, fighting, accidental injury, poisoning and disease. If you have more than one pet in your household, all the pets will get along better if they are neutered. Long-term benefits of neutering include improved health. Early neutering nearly eliminates the possibility of breast cancer and totally prevents uterine infections. It also reduces the possibility uterine and testicular cancer to almost zero. Some people say that you only need to “fix” the female dogs. This is not the case. Beside the health issues listed above, intact males often are more aggressive. They are more prone to fight for territory with other males, even with males who are neutered. Next, animal overpopulation affects all of us. Millions of tax dollars are spent annually to find and catch wild, abandoned, and unwanted pets. The really sad part is that much of this money is spent to euthanize the animals when homes cannot be found. Human health is also threatened. 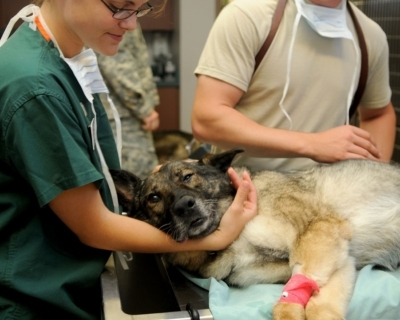 At-Large dogs transmit diseases, including rabies and serious infections from animal bites. Last but not least, Farrell dogs roaming in search of food can cause property damage and kill livestock.